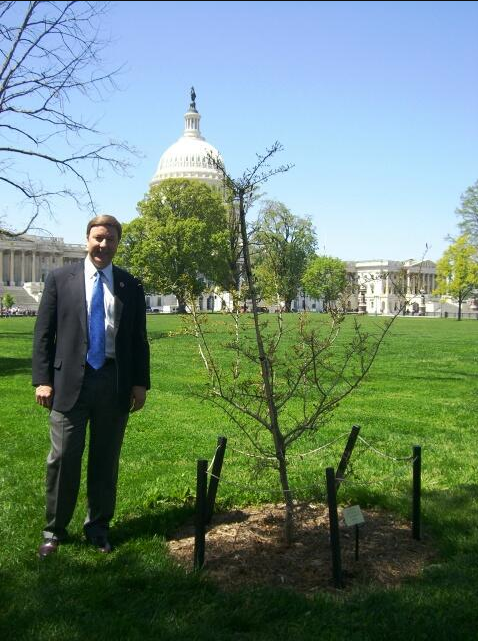 Alabama Congressman Mike Rogers, who participated in the planting of the Toomer’s Oak sapling on Capitol Hill in 2011, is back, recognizing Arbor Day with a photo op sure to please a major portion of his 3rd District constituents (and Auburn fans everywhere). Related: Toomer’s Oaks mementos include framed pieces of the oaks, sawdust-encrusted key chains. What other toomer’s oaks are on public property? Could we compile a list?